Dr. Morris Swertz is head of the Genomics Coordination Center (GCC), a core facility and big data stewardship hotel at the UMC/University of Groningen. With a team of 18 biologists, statisticians and computer scientists he is on a mission to unlock the full potential of next-generation -omics, translational and biobank experiments towards personalized medicine and systems genetics for rare and common disease. Dr. Swertz gained his PhD in 2007 at the Groningen Bioinformatics Center while researching novel and powerful methods for the efficient modeling, production, and evolution of dynamic software infrastructures for systems genetics (NatRevGen, 2007). The result was MOLGENIS, a bioinformatics toolbox to rapidly generate suitable software infrastructures for life scientists to manage, QC, analyze and integrate complex phenotype and genotype data sets (Swertz, 2010) and the Observ-OM extensible data model for phenotypes and genotypes (Adamusiak, 2012). Since 2010 he has been head of the GCC which he rapidly developed from scratch, embedded in the research and diagnostics sections of the Genetics Department of the University Medical Center Groningen. 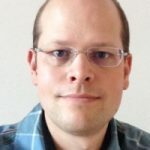 Dr. Swertz now (co-)leads national and international bio/medical IT infrastructure projects as Biobank sector integrator for the Dutch ELIXIR hub DTL/DISC (http://www.dtls.nl), PI of the Biobanking taskforces in BBMRI-NL and BioAssist (NBIC), PI of the BBMRI-NL national bioinformatics infrastructure project, PI of the Dutch biobank catalogue, chair of BBMRI-EU catalogue working group, co-PI of the Genome of the Netherlands, co-PI of the harmonization work-packages in EU-BioSHARE, IT advisor to the BBMRI-NL steering committee, and as associate partner in (inter)national -omics data integration projects CTMM/Translational IT (TraIT), Top Institute Food & Nutrition biomarker research (TIFN), EU-GEN2PHEN, EU-BioMedBridges, EU-PANACEA (C. elegans), and EU-SYSGENET (mouse).